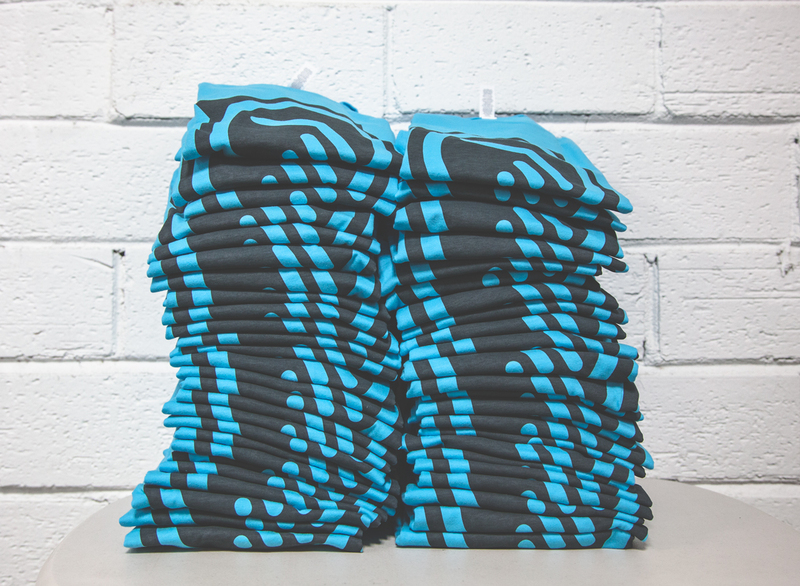 It’s a situation we’re very familiar with: You want to get shirts for your office team, but how many do you order? If you order exactly what you need one might get messed up and leave someone bummed out and shirtless, but if you order more than you need you might get stuck with extra shirts that you already paid for and no one wants. Even if you decide to order extra, does that mean an extra of every size? What if you’re ordering for a large team? Two of every size? The next couple weeks might be pretty stressful, waiting for that box to show up with fingers crossed that you made the right decision. If you have dealt much with the screen printing industry, you know that damages and shortages are part of the process. We’ve got a great team and we rarely damage shirts, but mistakes can happen and sometimes blank shirts will even show up already damaged. You’ve probably heard that you should order 2-5% over what you need “just in case”. Trust has officially rejected those limitations with our Guaranteed Quantities policy. 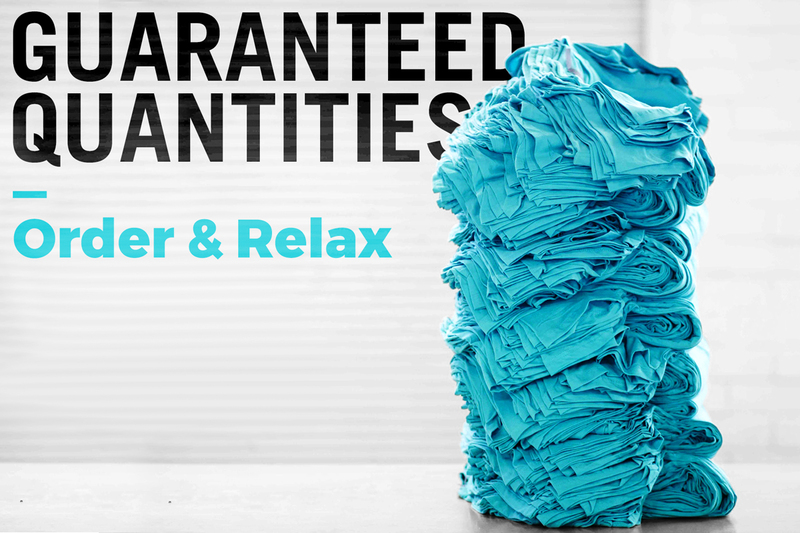 You can order what you need, sit back, and relax because we guarantee that you will receive every piece of every size you ordered. No shortages. No stress. It’s incredibly simple! In fact, it’s already been working for a while now (we got you so good). Trust is simply taking on the responsibility of everything that may go wrong with your product (including factory mistakes and circumstances out of our control). You don’t have to do anything differently, but you can feel differently with the assurance that ordering extras, stressing over damages, and dealing with shortages are things of the past.